The other day I overheard an interesting conversation on the comparative dangers of cleaning bulk storage tanks used in different industries. The discussion became quite heated, and as a result I decided to discuss the whole situation with the experts, our speciality cleaning team, as they are heavily involved in the cleaning of storage tanks both interior and exterior. It didn’t take long for me to realise there is a lot more to this than meets the eye. 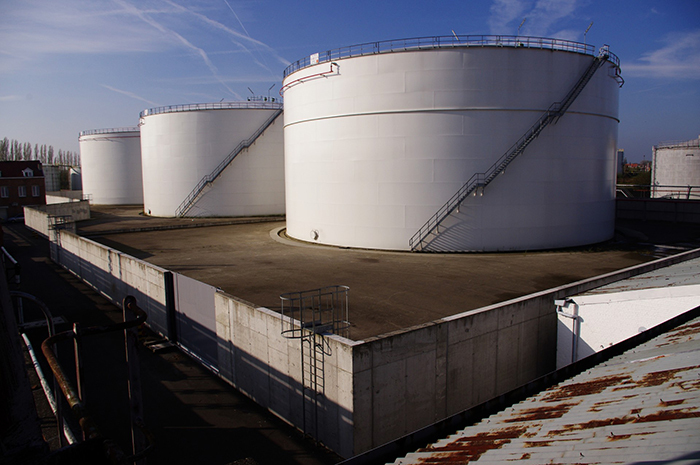 With my background in coatings, I have a pretty good idea of what’s involved in cleaning petroleum and solvent shipping and storage tanks, with their hazardous fumes and potential ignition sources. After talking to Andrew Chan our Contracts Manager, it turns out that all bulk storage tanks have the potential to be hazards, regardless of industry type. We then discussed a number of tank cleaning jobs we have successfully completed over the last 12 months. These contracts included a diverse range of industries: dairy, liquor and general food processing areas, with hazards ranging from dust inhalation, spontaneous combustion, fumes and close proximity to various types of cleaning chemicals. 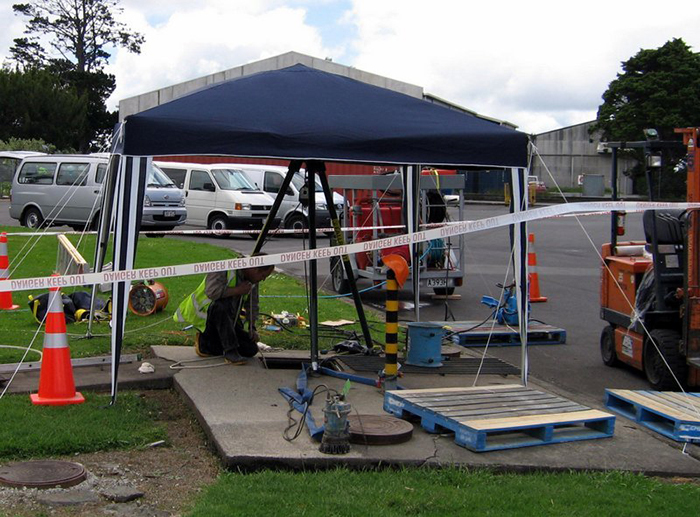 All these factors are in addition to the usual concerns relating to working in confined spaces. In some cases a “dry clean” needs to be used and this adds another layer of potential issues as does lack of good drainage, which then requires any water/cleaning chemicals used, to be removed and disposed of. Andrew then outlined a standard procedure he uses when we have a contract to clean the inside of tanks. Exterior cleaning of tanks is also hazardous but not to the same extent as the interior. Firstly, we need to clearly identify all possible hazards by producing a Job Safety Analysis document which includes an “Action Required” list to totally eliminate the hazard. Regardless of any other considerations, the main issue for staff involved in cleaning the inside of tanks, is working in a confined space. This is defined as a place that does not have the benefit of natural ventilation, or a place which is difficult to enter and so presents a hindrance to rapid escape in the case of emergency. As can be appreciated, working in a confined space requires a degree of good physical and mental health. It is certainly not for the claustrophobic, those with heart or breathing problems, or those with physical disabilities. Most of the above issues are dealt with by statutory regulations and Andrew and his team have also developed their own techniques that they use in conjunction with mandatory requirements. This ensures the complete safety of all team members and total satisfaction for all our clients. 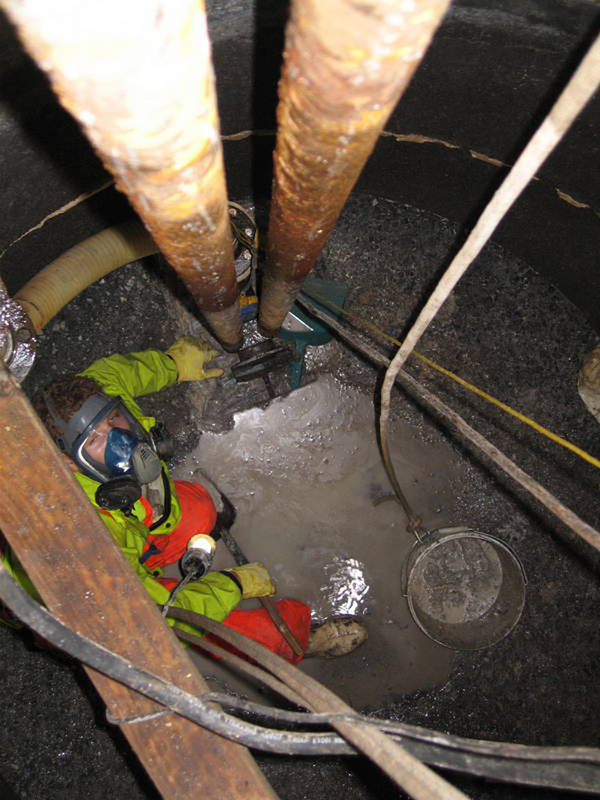 Cleaning the inside of a toxic tank isn’t just a job for the professionals – it’s a job for experienced professionals. The team here at Unique Services have decades of combined experience, with dozens of similar jobs under our belts. Each one is a job well done resulting in a satisfied client. With up to date training in official qualifications such as confined spaces, gas detection and safe chemical handling, you know our team can handle any situation, both safely and professionally. We pride ourselves in having the highest standards in both Health and Safety and Environmental Care, and hold the well-being of our staff as our number one priority. When you work with us, you work with the best. Call us today if you have any questions about industrial cleaning. Our friendly staff will be happy to answer any questions you may have.